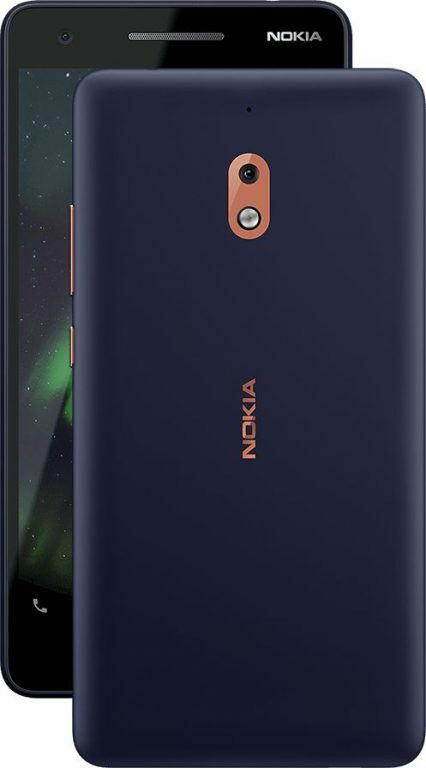 HMD Global is adding the Nokia 2.1 to their records alongside two other smartphones. Released last year was the Nokia 2 and the Nokia 2.1 will serve as an upgrade. The smartphone will have the Android One and Android Go editions installed and will run the Android Oreo operating system. Looking carefully at the specs given, this is a budget device having decent features for its price. Onboard is a Snapdragon 425 chip with a Quad-Core processor. Rear Camera is an 8MP shooter, internal storage is 8GB and 1GB of RAM is made available. The Nokia 2.1 is based on Android 8.1 Oreo with flavors of Android One and Android Go installed. 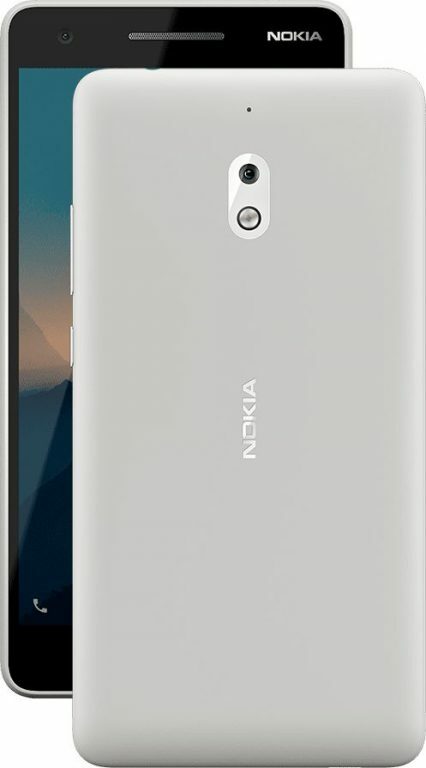 Moving on to design, the Nokia 2.1 is enclosed in an aluminum frame and the back is covered with plastic. The device has an interesting design that reveals two stereo speakers located at the top and bottom that should give you good audio experience. The smartphone is 153.6 x 77.6 x 9.7mm in dimensions and weighs 174g. The NOKIA logo sits at the back underneath a single camera and LED flash which are positioned at the top region. 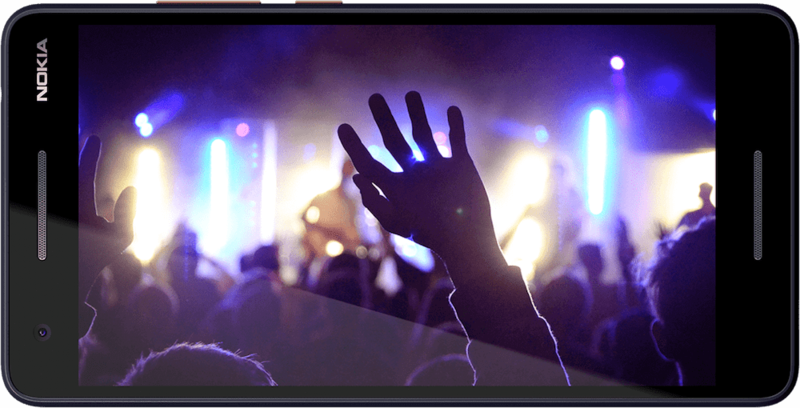 With a bigger screen than its predecessor, big screen lovers will love its 5.5-inches HD IPS LCD capacitive touchscreen. Its resolution stretches by 720 x 1280 pixels and 267 pixels per inch density. Bezels are large and the screen-to-body is 70%. An unspecified version of Corning Gorilla Glass is fitted for screen protection. For processing on the smartphone, Nokia installed a Snapdragon 425 with Quad-Core processor and 64-bit CPU architecture. The processor makes use of 4-cores and runs at a smooth pace of 1.4GHz utilizing the 28nm process technology. Graphics are processed by an Adreno 308 GPU. For multitasking, the Nokia 2.1 uses a 1GB RAM, which is quite small. The RAM has a maximum memory speed of 667MHz. You can save your files with an 8GB storage made available and if there is a need for expansion, an SDcard of up to 128GB can be used. For photography, an 8MP rear shooter with LED flash will do the job. Features that come with the camera include auto-focus, touch-focus. Selfie needs can be taken care of with the 5MP front shooter. Finally, one of the key selling points of this device is its battery. Featuring a 4000 mAh battery like its predecessor, Nokia has promised that a single charge on this device would keep you going for days. Is the Nokia 2.1 comes with headset?